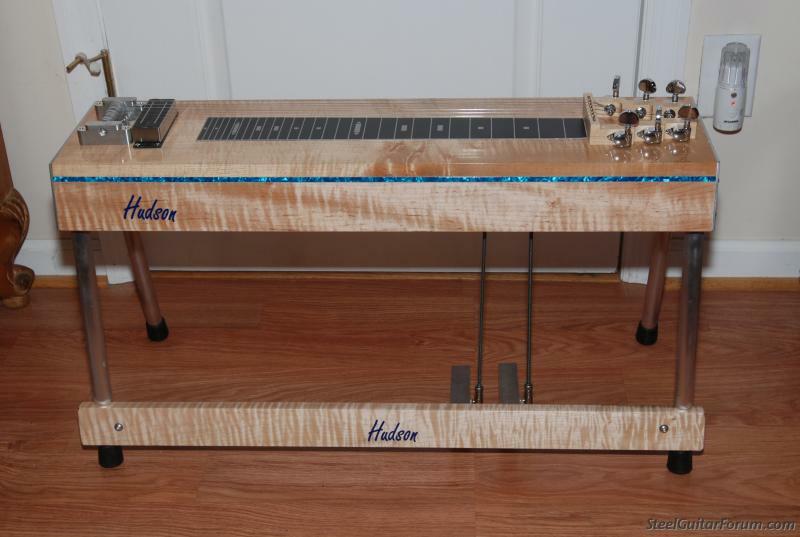 I have a new Kid's model six string pedal steel guitar now available to order. I hope this guitar helps to get the life back in the steel guitar with Kid's and young folks. Legs can be as short as 8 inches and up according to what you want. The guitar can grow up with your child. 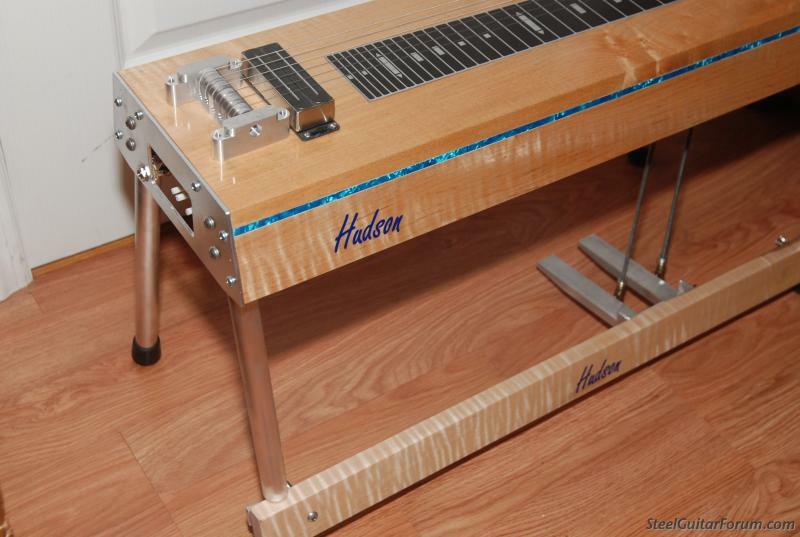 All that is needed is longer legs and pedal rods that will be available from Hudson Steel guitars. Call 704-986-6481 for more info. I will have one of these in the for sale section as soon as I can get a extra one built. Let me be the first to tell you that is a great idea and a very good looking PSG! If I was 60 years younger I would be pesting my parents. I think that is a great idea! Let very young kids get a taste of steel. My grandson is 12 now and probably gonna start next year. He is playing sax in school and a little regular guitar and is quite good on piano. I will encourage him if he shows real interest. Emmons D-10, ST-10,LD-10 III, NV-112,Fender Deluxe Reverb. Authorized wholesale dealer musicorp.com! Thanks Bill and Doug for your kind words. Not going to be very much competition for the jobs that will be available. Real Country music will be back to the top one day. You can't have real country music without a Pedal Steel guitar involved in it. Thanks Bill for your comments. What a great idea and a very nice price too! Can we see what the underside looks like, please? I already shipped it and did not take photos of underside. It has the same undercarriage as I use on all my Pedal steel guitars. Cross shafts are mounted in ball bearings and the bell cranks can be moved. Standard pull rod system, and a tone monster Pull Release changer. Not on the one pictured but not a problem to add the knee levers. I can do them with up to 3 pedals and 4 knee levers. Thanks for doing this Jimmie. It's going to bear fruit. Thanks for your kind words Dave. Wow Jimmy that’s the best idea I’ve seen in a while An the price is unbelievable you have done on price what no one else has come close too. 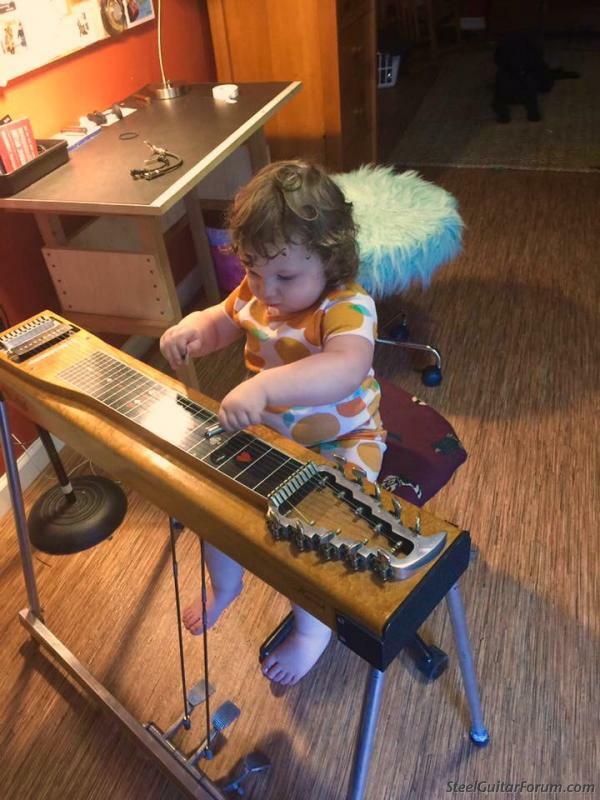 What a nice way to give back to the pedal steel guitar community. You must have read my mind! 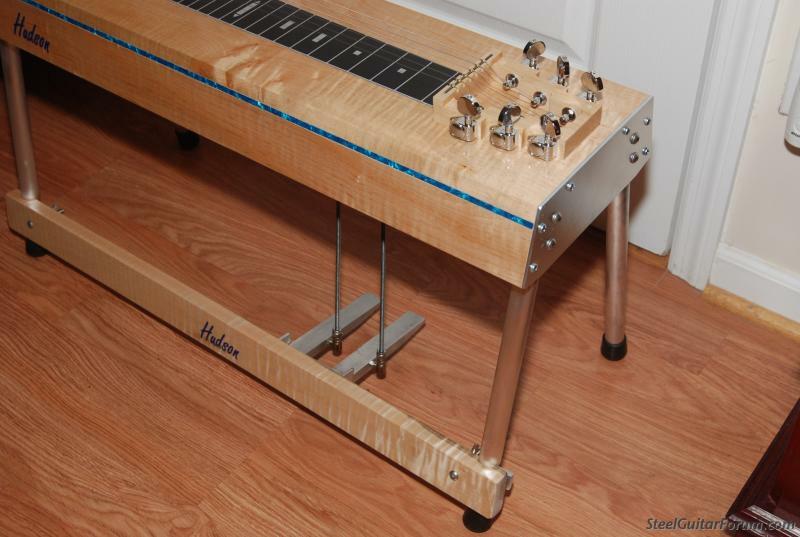 pedal steel.” I woke up, looked on the forum, and here we go. Well she may be the next super star steel player. Jimmie, I'm involved with Steel Resolve, trying to help young people get into playing steel guitar. If we ever run across children we can help, we'll be in touch with you regarding your kid-sized steels. Marvelous innovation, thanks for doing it!